Sacramento Republic FC loses 1-0 in tight match against Real Monarchs SLC. Republic FC drops back-to-back matches for just the second time in the history of the franchise. Republic FC started the match as the aggressor getting their first strong look on goal in just the fourth minute. Defender Derek Foran played a ball up the right side of the field where Emrah Klimenta and David Estrada play the ball back and forth setting up a shot that was blocked away by a Monarchs defender. The Monarchs would control the last 15 minutes of the half testing Republic FC goalkeeper Patrick McLain multiple times. The best chance of the half for the Monarchs was in the 35th minute when midfielder Fito Ovalle hit a strong through ball toward the feet of Max Rauhofer who had snuck behind the defense, but McLain was able to slide in a take the ball away. The half ended scoreless. Republic FC looked strong again coming out of the locker room, getting their best chance on goal in the 53rd minute. Klimenta took the ball down the right side before sending a low cross into the box. The cross was meant for Estrada who was streaking toward the middle but Estrada and a defender collided allowing the ball to slide to a wide-open Rodrigo Lopez. Lopez struck a low shot toward the right corner of the goal but Real Monarchs goalkeeper Lalo Fernandez was able to save the shot. The Monarchs would break the tie in the 67th minute. A long cross by John Stertzer was blocked away right to the waiting feet of Fito Ovalle, who took a strong shot toward the left side of the goal. Forward Max Rauhofer then deflected the shot into the goal putting Real Monarchs up 1-0. Republic FC battled hard to get an equalizer but in the 87th minute the Monarchs looked like they might double their lead. Substitute forward Emery Welshman beat the defense down the pitch and got a one-on-one opportunity with McLain who again was up to the challenge. McLain deflected the shot into the air and then saved the ensuing rebound shot to keep Republic FC in the game. Republic FC had their best chance at an equalizer in the 89th minute when defender Agustin Cazarez sent a cross to the back post. Klimenta got up over the defender at the back post and was able to nod the ball down toward goal but Fernandez was there to save the ball, keeping the score 1-0. Republic FC had to finish the match without starting defender Foran, who was subbed out in the 51st minute following a hard foul in the middle of the field. Midfielder Ivan Mirković also left the match early in the 66th minute following a collision with a Monarchs player. Until being subbed out Mirković had played every minute of Republic FC’s USL season. This is the first and only time since April 2014 that Republic FC has lost back-to-back matches. Republic FC will have a chance to break this streak when they return home to face Seattle Sounders FC 2 on Saturday, May 9. Kickoff is 7:30 p.m. at Bonney Field. Scoring Summary: SLC – Max Rauhofer (Fito Ovalle) 67. Misconduct Summary: SLC – Max Rauhofer (caution) 51; SRFC – Justin Braun (caution) 56, Max Alvarez (caution) 65. 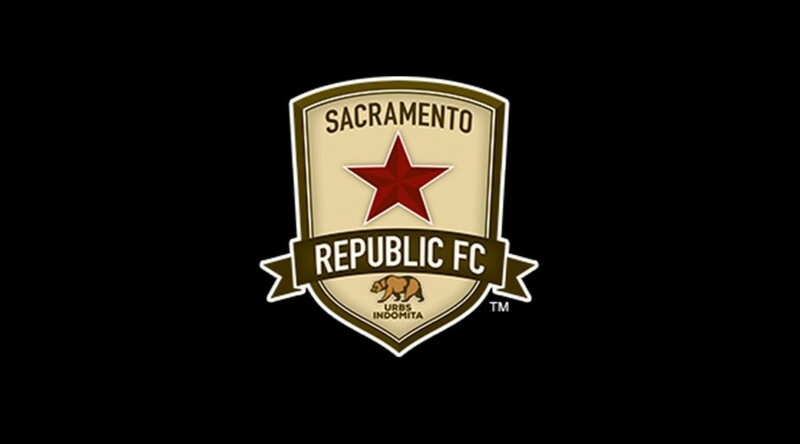 Sacramento Republic FC – Patrick McLain; Emrah Klimenta, Nemanja Vuković, Derek Foran (Alfonso Motagalvan 51), Agustin Cazarez; Ivan Mirković (Zev Taublieb 66), Octavio Guzman (Gabe Gonzalez 81), Rodrigo Lopez, David Estrada (Joaquin Rivas 70); Justin Braun, Thomas Stewart (Max Alvarez 62). Subs Not Used: Dominik Jakubek, Gilberto. Stats: Shots: 6, Shots on Goal: 3, Saves: 5, Fouls: 10, Corner Kicks: 4, Offside: 3. Real Monarchs SLC – Lalo Fernandez; Jordan Murrell, Phanuel Kavita, Emilio Orozco, Riley McGovern; Fito Ovalle, Ricardo Velazco (Lucas Baldin 78), Alec Sundly (John Stertzer 66); Maikon Orellana (Emery Welshman 72), Max Rauhofer (Coco Navarro 83), Eti Tavares (Darian Copeland 89). Subs Not Used: Victor Rodriguez, Garrett Losee. Stats: Shots: 15, Shots on Goal: 6, Saves: 3, Fouls: 14, Corner Kicks: 2, Offside: 3.